Vend is a popular POS system used by thousands of retailers worldwide. In order to cater to POS integrations, Orderhive selected Vend as one of the supported channels. 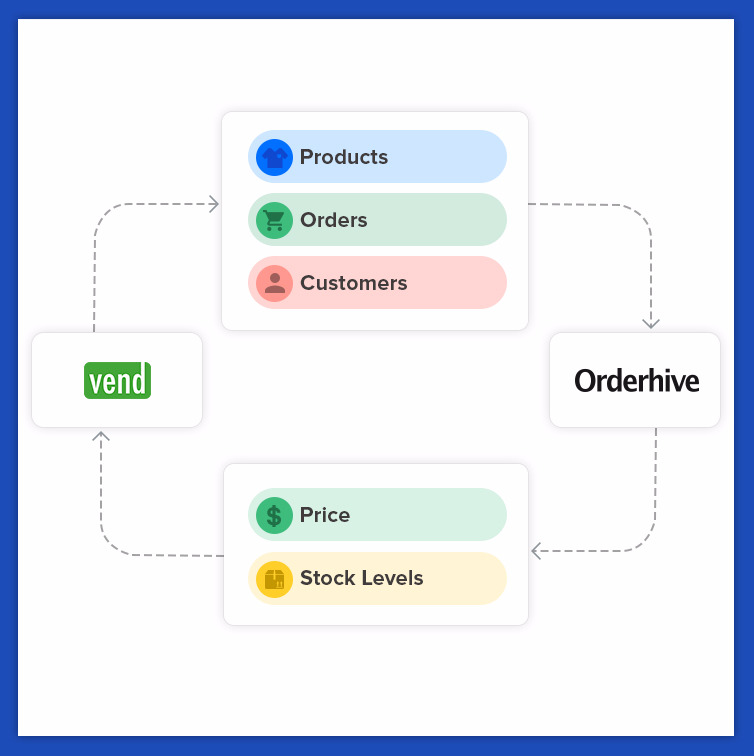 On connecting your Vend store, Orderhive automatically imports products, customers, and sales orders. Note: Currently, Orderhive doesn't support Vend's multi outlet feature. However, this will soon be available. For more details, please email us at support@orderhive.com.